I would consider the very beautiful Indian King to be very influential as he features hugely in our breeding through our stallion Tarib,Indian king being his G G grandfather, through the eternally beautiful Crystal Magician Tarib's grandfather,this is on a personal level of course. I would also like to add he was the grandfather of the wonderful Dancing Queen. 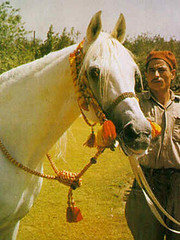 Indian King is my horses GGG Grandfather too! Ludo is another stallion of influence he has such descendants as Donax,Ahmoun and Ludovici the dam of Blue Lucius (Puff to his friends! 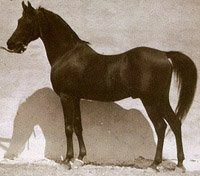 )And it also ties our breeding in as Ghibli was by ludo out of Yasmina, Tarib's sire. thanks for that, can you cast your nets a bit farther now? I am talking world infulences?? 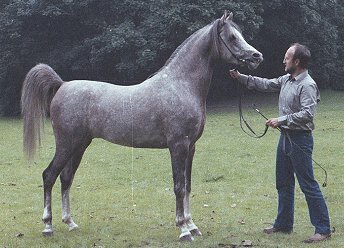 Ok how about Ralvon Pilgrim?Grandsire of the awesome Ralvon Elijah,i think he made a contribution certainly in the last 20 years ,through Elijah's stock i think Elijah himself was a horse ahead of his time but he certainly made an impression on us here in the UK in the early 80's. I agree with you Nick and he has to be one of the all time greats for prepotency, do you think you can have too many lines to him though? just an interested question? ( I also have him several times in some of my pedigrees)! 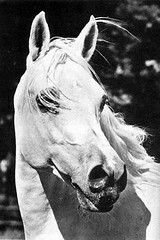 And now my chioce, So many good Stallions to pick from, but this one, you will find on more pedigrees than most others. Thanks for the pic Bob!! We have never bred to many maybe we have been to conservative but finding homes is so hardThis as curtailed our efforts in hindsight we should have bred more we only wish there was more "grass roots"
Bob thanks for the photo,(My photo in the online magazine in the pink jumper catching Zeezeetop may become a "classic"
I don't think we can omit Nazeer when discussing influential sires - through Aswan in Russia, Hadban Enzahi, Galal and Kaisoon in Germany, Alaa El Din, Ansata Ibn Halima and Morafic in the States and many many more. His influence has been and is enormous and even if one can feel that many breeders have used his bloodlines to the exclusion of anything else, there is no denying his influence. Skowronek also deserves mention as he has been hugely influential with descendants all over the world. He really was immensely important to the breed. BTW, Indian King traced 6 times to Mesaoud and was a gggrandson of Skowronek through his dam Indian Pride. This topic is going pretty much as I expected and as you may gather we are trying to find out what you the Arabian enthusiast thinks is the greatest influential stallion of all time, maybe there is not just one but many! all the stallions mentioned so far have made a huge impact on the breed, any more ?? Silver Vanity? Born 1950,very influential i'd say with sons such as Hanif,G daughters such as Zarafah,Silver Indrette grandsons Silver Flame G G G grandaughter Azeme Bint Gleam,through which the lovely horses of Gillian Lancaster's Aboud and the wonderful Aureme and Star of The seasons are bred. I need you to cast your nets out farther, worldwide, and as far back or as near as you like, problem with near is the mark of a good stallion is his prepotency to mark himself through his sons And daughters down the generations and horses of today dont have the time yet, although it has to be said Padron psyche, ali Jammal, Halim Shah, and the british bred Carmargue have to be the front runners in leaving their mark, any more suggestions ? Kasmeyn aka Kazmeen can be found in many, many pedigrees today, SE and Crabbet alike Perhaps Mike can tell us more about him? There is a reason to this thread Bob, as you will find out in our next wonderful online magazine so come on thinking caps on ! 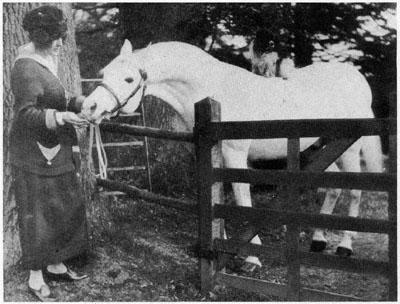 Marilyn, isn't there a possibility of current 'fashionable' stallions, which may be used for breeding very widely for a couple of years, being forgotten in spite of their prolific use? Too right they have ! The way that I see it, the answer to Marilyn's question is a rather depressing "None of them!" Not, I hasten to add the fault of the horses per se, but of a complete lack of any sort of long term breeding programme! The thinking seems to go no further than "let's get some pretty foals on the ground" and then stop! "Breeding for the showring" is a non-starter, particularly so far as the long term viability and good of the breed is concerned. And if you are not one of the very few "trendsetters" how far is one likely to succeed with at best "last years model"? Yes Mike I think you might have "knocked the nail on the head" there!